Benfica win 4-3 on penalties. Manchester United win 9-8 on penalties. Atletico Madrid win 3-1 on penalties. The Unai Emery era at Arsenal rolls into Singapore on Thursday lunchtime as Atletico Madrid await in the International Champions Cup. These two teams have recent history after meeting just three months ago when Atletico ruined Arsene Wenger's farewell tour with Arsenal in the Europa League semi-finals. Atletico won 2-1 on aggregate en route to lifting the trophy. 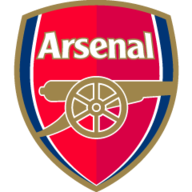 Emery has already overseen pre-season friendly wins over Boreham Wood and Crawley Town but this will be his first major test. Emile Smith Rowe, who turns 18 on Saturday, is one of the Arsenal youngsters who has an opportunity to make a name for himself on the tour and is likely to feature against Diego Simeone's side. The star of Arsenal's U18 side has trained with the first team since returning from his summer break and has impressed Emery, who wants to embrace the young talent at the club. "First of all the club have given me a young player with a present and future in this club," he said. "Emile is one of the club's recommendations to come on tour with us and I am very happy with him. "He's played in every youth national team, from U17s to U15s. He's improving, thanks to his work in the Arsenal academy, and he's close to expressing his quality with the first team. He's 17 so I think this is the moment for Emile Smith Rowe and I'm very happy with him. "We want to create one mentality," Emery added. "We want to create one team who plays with a big personality to become protagonists in each match. Now it's very important for me to look at every player and also the young players. "It's a good moment for the young players to express themselves, to work every day, to show us their quality. They are working with our senior players every day and I think although it's every player's chance to prove themselves, it's a good time for the young players to work with us to express their quality." Mesut Ozil is available for selection following a week in the headlines having announced his decision to quit the German national team. New signings Bernd Leno, Sokratis Papastathopoulos and Matteo Guendouzi could all feature while £26.5m signing Lucas Torreira and Danny Welbeck are still on leave after their World Cup exploits. 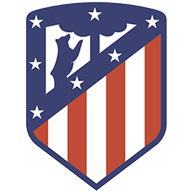 Simeone will be enforced to field an inexperienced line-up as he's without plenty of key players due to their World Cup commitments, including Antoine Griezmann, Diego Costa, Diego Godin, Jose Gimenez and Sime Vrsaljko.